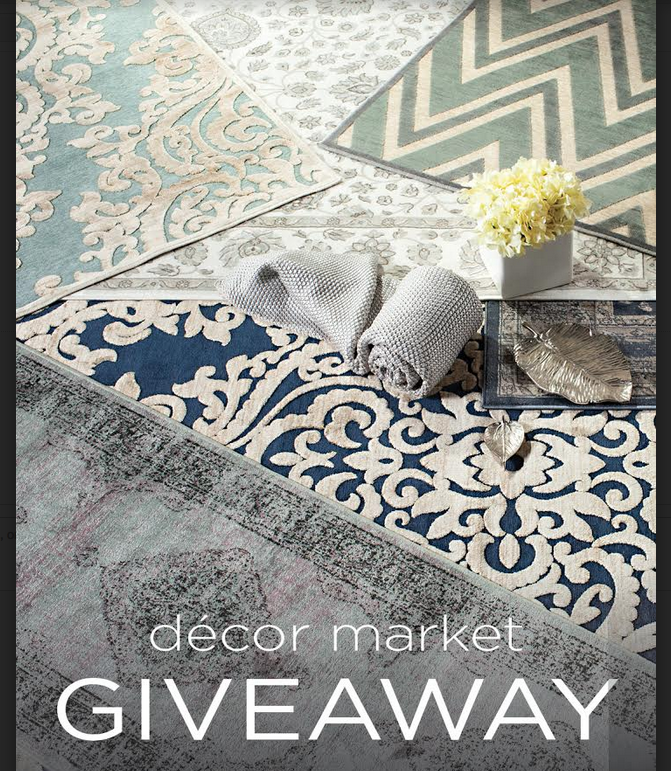 Which would you choose and Decor Market rug giveaway! Hi and Happy St. Patricks day friends, hope everyone is doing well. So happy it’s the weekend, it’s been a long extremely busy week and I am looking forward to a some free time and to just chill! Have a few fun exciting design projects i am working on and really really enjoying working on these. One of them is for a young newly married couple who are designing on a budget. I actually am really enjoying this project, its a fun kind of challenge. They had four rooms with wood floors that all need rugs. The total budget is $1500 for the four rooms. Never has it been easier to accomplish this, whereas 6 years ago this would have been nearly impossible. With today’s choices, being so vast at every price level, it is finally dare I say easy to decorate on a budget! Another project is doing a small rooftop patio area, the floor is old cracked concrete so they need a rug that will cover the entire area so we found a few outdoor rugs that are so good looking and so unbelievably affordable. Decor Market to the rescue, I have found such amazing deals, that combined with free shipping and their awesome customer service makes them a win/win. Which two Decor Market rugs do you most love and want? All I can say is if you are in the market for a rug or to do a little sprucing. up, Decor Market is your answer. Especially with an extra 20% and free delivery, you would be hard pressed to find a better deal. I have found many wonderful items both for myself and especially me clients over time from em. Don’t forget to use the code, “LUCKY20” to the extra savings. The goodness doesn’t stop there, Decor Market has generously donated a rug for a giveaway. TO ENTER- you can have up to 4 chances to increase your chance to win! 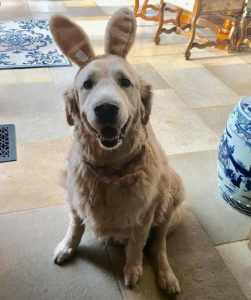 Dear angel Teddy – what an adorable bunny! My favorite is the Cambridge rug. Love so many of the rugs but #5 was my favorite. Such a different look. Would love to use this one in my home! Number ten is a beautiful classic that would enhance many spaces. Gorgeous! Love them all! My favorite is number 12. Love the soft colors of #2! Love Safavieh! I like the grey with circle design! Wow!!! Incredible Deals! And such a beautiful assortment! I’m going to spend a lot of time trying to choose my favorites!! Thank-you for sharing decor market with us! My favorite by far is #12. I can see that in my dining room! I just love the texture of sisal rugs, so #9 is my favorite! Love them all, but I would choose the sisal! Great giveaway! Love rug no five and would enjoy living with that one. I’m really partial to green and just love your choice # 5. In fact, I’m beginning to do some updating of my decor before my son gets married in our home in September. I just might have to have that rug. Love the herringbone sisal! Thanks or the chance! Luck be with me!! You have the best giveaways! These rugs are great!! I love the rugs you have chosen to show. But I have to agree with you #12 looks so expensive, love the texture! 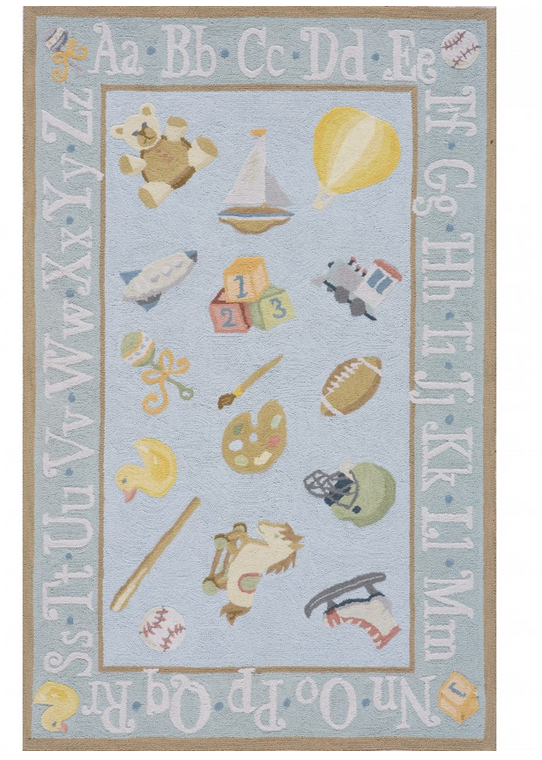 My favorite is #8, it is the sweetest pattern wether for a boy or a girl, playroom or baby room!!! 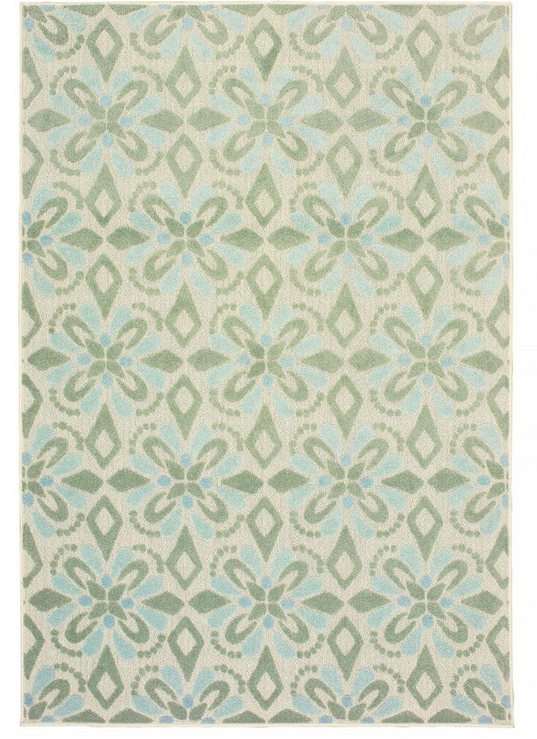 I love the trellis rugs in blue and green! Rug #7 – incredible rich colors. I love Decor Market rugs and have several in my home. Number 7 really caught my eye. Beautiful! #5 is my favorite by far. The depth of colors spoke to me, but the price on that 9×12 sisal is awesome!! #5 is my favorite. All are winners. I would choose either 1 or 9. Great look for the price. I will have to bookmark this for future projects. Thanks for sharing these Tina. My favorite is number 5. I tried to open the link but it wouldn’t open. Love all the rugs, such wonderful choices. Thank you for sharing! So many pretty choices, but I really love the pattern in #5. Thanks for sharing, I’m off to track these down on the website! Numbers 1 and 2 are exceptional! Beautiful rugs-you have the best taste in decor! Loved the rug choices, especially #5. Absolutely gorgeous! Just received the cache pots, really beautiful….love all your blue/whites! My sister is in the market for new outdoor rugs. so this is perfect. My favorite rug of the choices you showed was number 12. Still loving the pictures of Teddy. The area rugs are all beautiful! Love # 8. What a adorable rug for a child’s room. Pick me! We just moved into a new house that is almost empty, waiting on our things to come on Tues but we need a lot more. I am starting to look at rugs for my bedroom and dining room so excited to know about decor market. What deals!! Thank you thank you for this wonderful resource Tina. Got my tulipieres yesterday and am in love with them, I can’t stop staring at them and going today to buy flowers to “play”! Love them all but the herringbone sisal is my favorite! It is wonderful to look at all of the beautiful rugs. Loved the picture of Teddy too. There are some very pretty rugs, but my favorite is number 12. I would love to have the sisal rug for my guest bedroom!! So pretty!! All beautiful rugs. The prices are amazing as you noted . 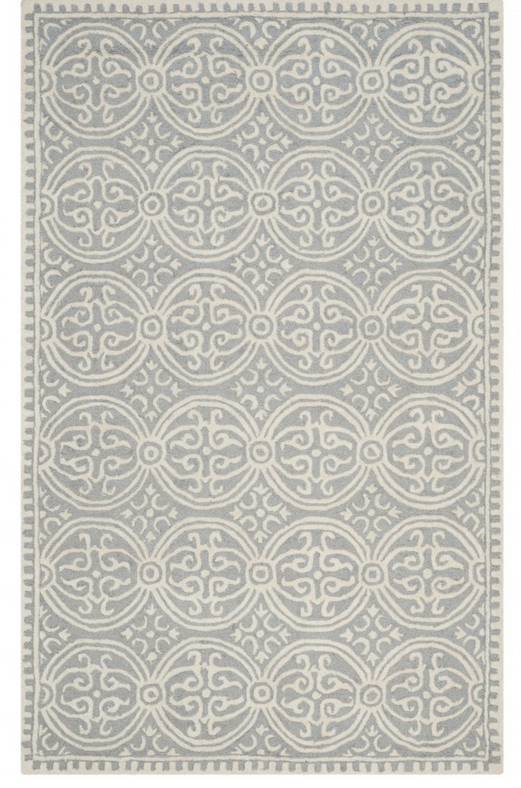 My favorite rug is Number 12, as it is a classic design, perfect for many rooms and the neutral color isn’t restrictive . Love rug #1. Muted colors are wonderful. Great options! Did not know about this source! Love them all but #9 and #10 are my favorites. You have great taste! 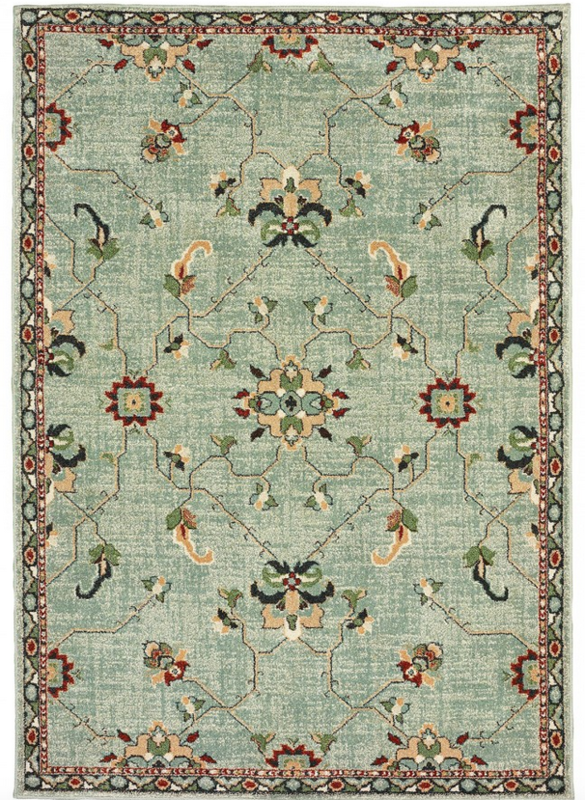 These are gorgeous rugs and they’re priced so well my favorite is, #12 such a pretty pattern! Thanks for sharing this great resource and the 20% code. I love the sisal rug but they are all lovely! Such wonderful values for so many fantastic patterns, styles and sizes! Great selection and prices on these rugs! Love #10! It would look beautiful in my foyer with my blue and white. I’m in the market for rugs for 3 different rooms. Saw so many options that would work. But number 12 is hands down my favorite!!! #12 is my Birthday Wish! 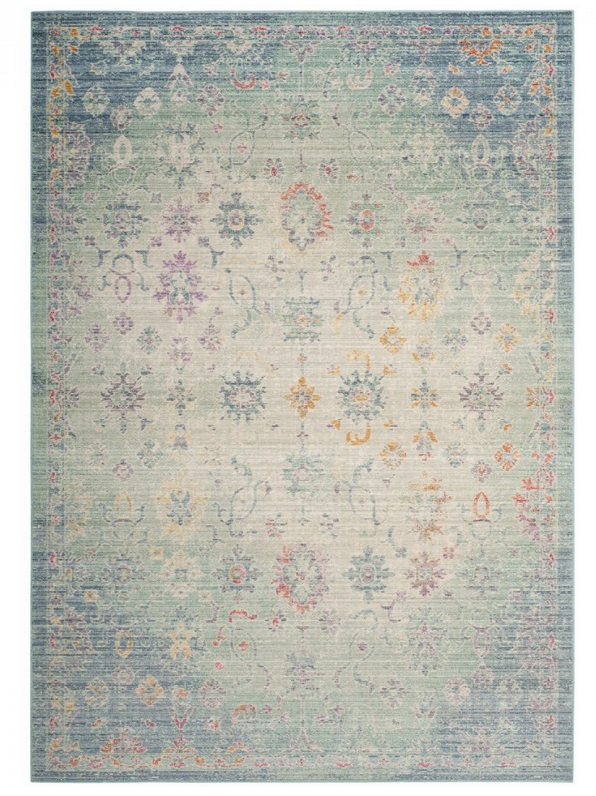 I love rug #12 and it has the perfect colors to go under my dining room table. The walls are dove gray and the upholstered chairs are white/cream with a light gray design. The rug would be a nice compliment to the room. Happy St. Patrick’s Day. My daughter could use a large rug to place over carpet in her living room. #12 would be perfect. Thank you for the post! Fabulous selection of rugs! I like them all, but #10 is really special. I love #5 tug, would love to have it in my home. I love many of the rugs shown, and great prices. Love the teal persian rug with the burgundy and other accents! Amazing! I’m in a rug coma surrounded by all the beauty …. It was difficult to vote considering they were all a 10… first time shopping at decor mkt I’m hooked!! Could you please tell me which rug #5 is at Decor Market? I wasn’t able to click on it in my post. Thanks! I love all the rugs. I will definitely use them in the future. Thank you for this tip, and pictures. Thanks for all the beautiful designs you share! all are wonderful! #1 was my favorite!! Perfect timing, I am in the market for runners in our newly remodeled kitchen checking out their site soon as I post this. Great looks and better yet, a GREAT price point. 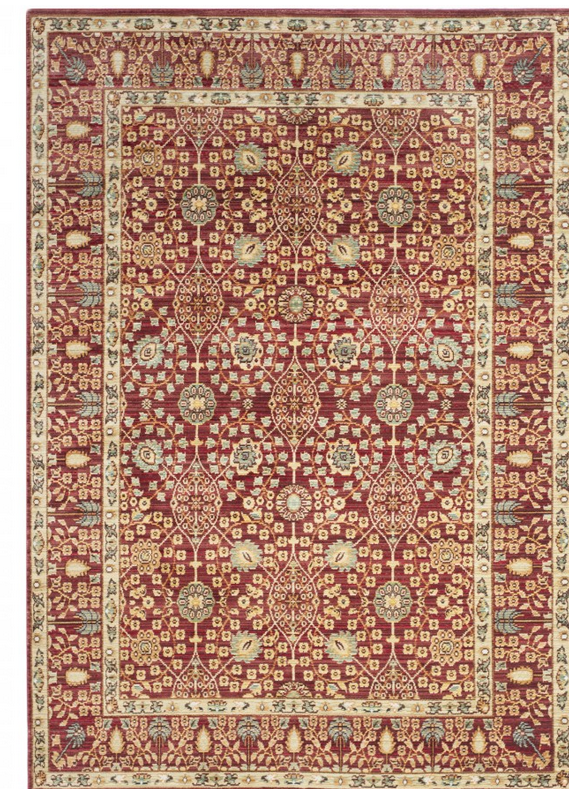 I love the subtleness of rug 1–it’s a perfect updated nod to a classic oriental that will balance a room of antiques and new furniture beautifully. Hi Tina, I am very excited to receive my ice bucket now that your shipment arrived on Tuesday. 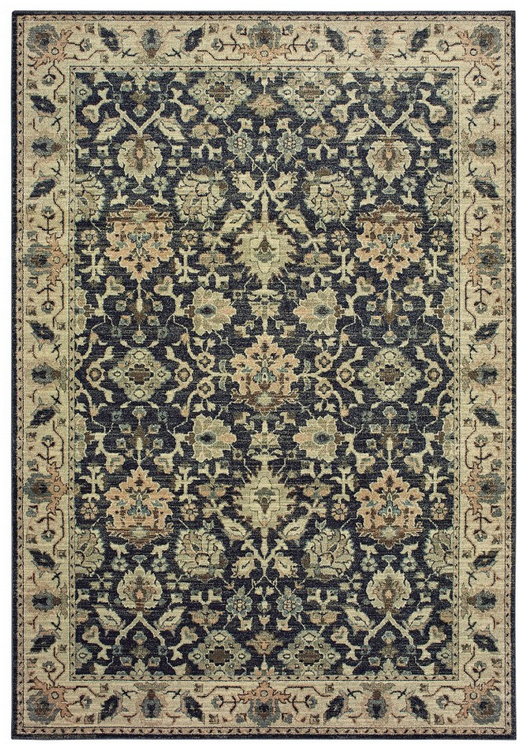 Love them all but my favorite is the Navy #7 rug…would look amazing in my living room! Wow; deals galore. I’m looking at #12 for my newly renovated bathroom! I LOVE CHOICE NUMBER 5 AND CHOICE 8. THE BABY’S RUG IS SO BEAUTIFUL. THE COLORS IN NUMBER 5 ARE MAGNIFICENT.. Happy St. Patrick’s Day! Love number 12! Number 10 would be my choice. Aww Easter Teddy! Love the blue and white trellis rug. 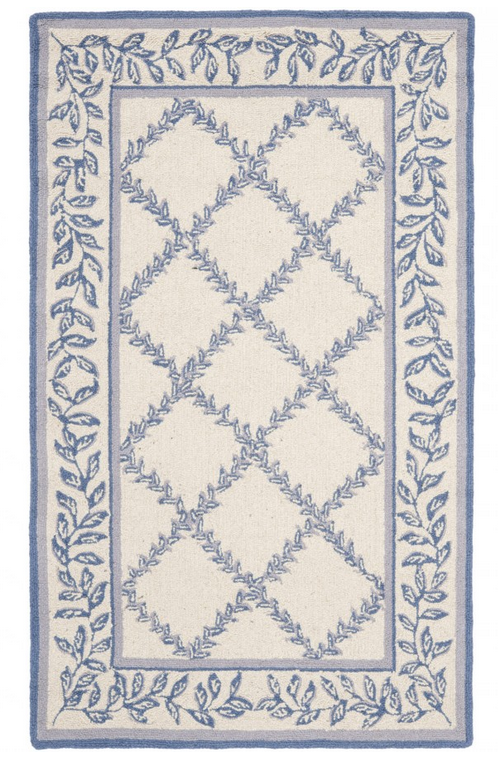 I love the blue and cream trellis rug #10!! All of them are a bargain. Love choice 5 with the green! They are all very pretty. Number 3 and number 7 are my colors, so they are my favorites! All are great but would like 10 for my porch! Rug #5 is a beauty. Thank you for information on the sale. My other favorite is choice 5.
and I need to send you a tablescape of them topping my Limoges.!,! HI, love all the rugs, but #7 is my favorite. Looks antiqued for sure and it’s navy! Beautiful rugs..I have ordered before from Decor Market and have always been pleased! Happy St. Patrick’s Day Everyone🍀Rug number 12 would go nicely in my future living room. I recently lost all of my furniture and rugs to black mold. I love rug #5…the colors are gorgeous – (BTW the link is broken). I just love #12, it would look perfect in my Ralph Lauren decor/bedding bedroom. Especially placed on top of our dark wood floor! Love #12 in the neutral color way. A classic! Everyone of these rugs score big with me. My favorite is number 5 however, they all are just gorgeous. Really sets off my Spring creative thinking – dining room especially and then again living room also. Ready for updates. Thanks for the inspiration. My favorite is #5. Beautiful colors!! Rug Number 5 is my favorite. I would love to have this in my bedroom. 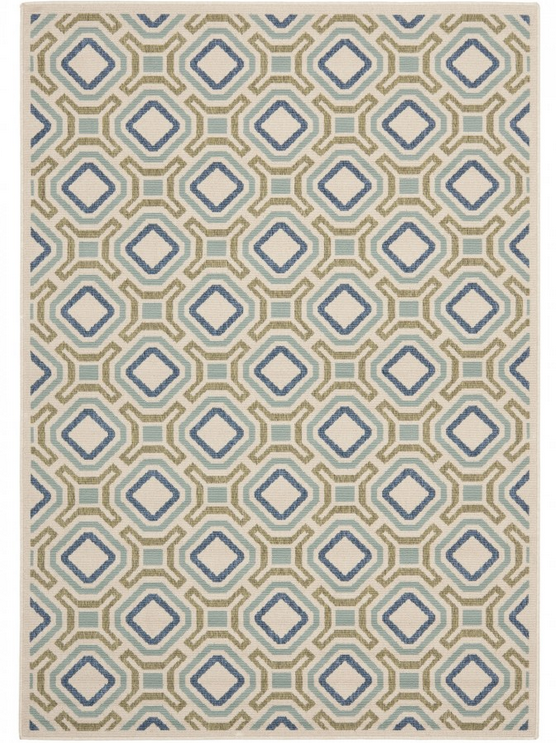 Cannot find #5 gorgeous rug on the website. Can you please post vendor, rug name, or page it’s on. I would love to purchase! Having a hard time deciding but I’ll go with #12 as my favorite! I am really into “navy” right now so had to vote for #7. They’re all beautiful! I love the looks of all the ne rugs,but I would put number 2 in my bedroom immediately! I chose No. 5, but it wasn’t easy. So many beautiful to choose from. I love #12 – wonderful pattern! Love the colors in #2! You made this difficult. Having a home whose construction began in 1795 and the latest renovation began in 1996 (its never really ended, I’m in the middle of a serious refreshening of some of the house now) with at least 3 additions and multiple redecorations between then and now I have original wood floors whose boards range from about 6 inches to 14 inches probably. Not wanting carpet (due to serious dust mite allergy) (except on the stairs so my 12 year old golden retriever doesn’t slip again on them put in by my mother. Now over the years I’ve had at least 3 or 4 serious falls on the steps. Did my mother ever call our flooring people and have carpet laid? No! But my golden slips once (and saving her is when I had my last serious fall) my mother has the stairs covered within a week, in MY home. You see where I rate. My mother is so attached to Lucy its shocking. The same woman when I wanted a dog desperately as a child I heard, “over my dead body”! I never gave her grandchildren but I did give her a granddoggie whom is THE best dog in the world according to her Memaw. (she IS a good dog). Who has never done her business on any rug of any design since 9 weeks old. (she came home here at 8 weeks). Now dog hair, that’s a different story. I could build a new dog at times I think. She learned housetraining in no more than a week. Her only accidents have been when she’s been sick and wasn’t able to get out and that’s not her fault. She tried, it was always by a door. But if parents of an infant think changing a diaper of an ill baby is bad, you should have that to clean up but you can’t fuss at them, no one can help getting sick. So since I don’t do Instagram and I DO have the best dog, and I can’t earn any extra entries that way, do I get an extra entry for being a fellow golden mom? Number 12 my fav. All of them pretty! Tina, I like #10 and #12 the best. Great prices! All the rugs are works of art! I just happen to have one really speak to me. Love #5 for it’s unusual pattern and beautiful colors. All are beautiful but #5 is my favorite. Wow, what great deals. I really like #9, the trellis rug and both color choices for #10. The prices are so reasonable. I am measuring my room for the 9 x 12 trellis. What a great buy. Thanks for sharing. A beautiful collection at great prices. #5 for me please. 4, 5, 9 and 8 in honor of my nephew and his wife who just had twin boys Mar. 10! All are beautiful but would love to have either number 1 or 2, they remind me of my grandmother! She was beautiful visually and had the soul of an angle! I am a blue and white addict! The beautiful ivory/blue trellis is my favorite! I just love choice two, with its muted colors! The sisal is so classic and would go anywhere! Could also go under a smaller rug to give it more presence. Can’t go wrong with this one! No. 5 is my favorite. Gorgeous ! Such a great selection of rugs! They are all beautiful and can be used in many different rooms. The colors of the rugs are all beautiful. My favorite is rug #9 because of its versatility. The modern graphic on rug #4 is a happy, easy-to-work-with option for many different scenarios. I can see it in a laundry room, porch, dressing area or home office. Love it! Thank you for the chance to win! My favorite is number 10, the trellis rug in blue. It would be beautiful in our bedroom! The last one would look beautiful in my new home office!!! Such great deals on rugs! Thanks for showing us this sampling. Number 9…It’s like the LBD of rugs. #5 has that classic old oriental look.Would look good in any room. Love number 5…. it’s green for st. Patrick’s Day! I absolutely love choice 5! Sadly, I think they are sold out because the link is not available. #12 is exquisite! Actually, anyone of the options would be a delight. Like the unusual color combination of #5. So many choices. I would choose choice one – I love the understated pattern. I would also choose choice 9 the sisal – I love the herringbone pattern – it is a classic. 1st choice would be wonderful for my master bath but I can’t get it to “click here” ??? Love #9. Have it in my dining room. Hard to beat! My favorite is number 12. Would love to get a new outdoor rug. I like the rugs that have muted colors and look like they can’t from your home! Honesty all the rugs are beautiful! I will seriously consider getting the trellis rugs and #5 that looks like an old Persian rug. Lovely and such a great price. These rugs are stunning and so affordable. Thanks for sharing! What lovely choices! Number 5 is truly a good looking rug! My favorite rug is #5. Love the colors especially the green. Love several but #12 is my favorite. Beautiful! #5 would look fabulous in my living room. My walls are a light mint and the colors in the rug would bring out the gold in my frames in my paintings. I have ordered two apartment size sofa and chairs to match from Lee furniture. Happy Spring. 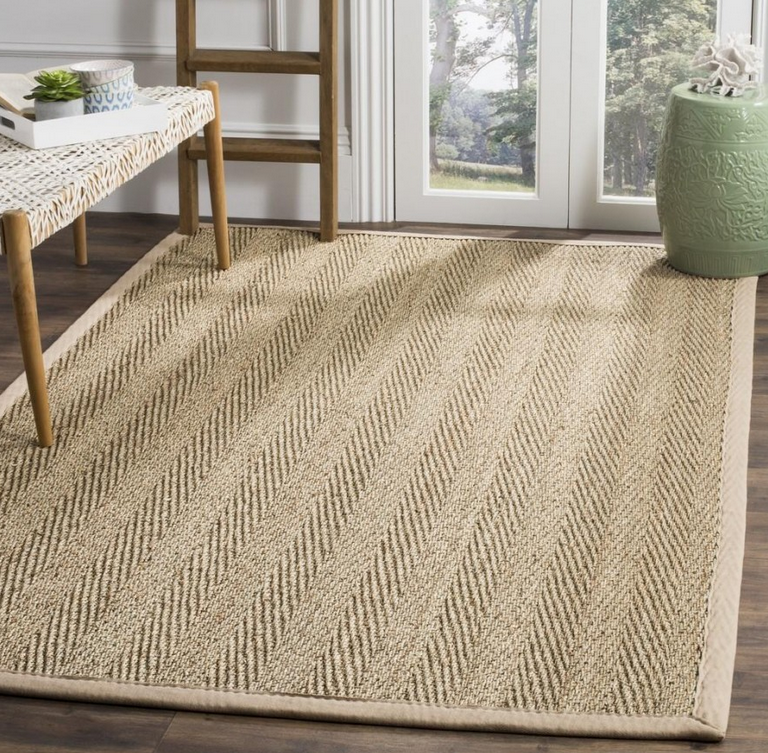 Love the great prices on natural fiber rugs! So hard to choose but I would love a natural sisal rug for my patio! I adore the nursery rug! Would be perfect for my new grandson. Decor Market is a treasure! Those prices are amazing! Loving #11 for my terrace and #9 for the pool house! Teddy made an adorable Easter Bunny! 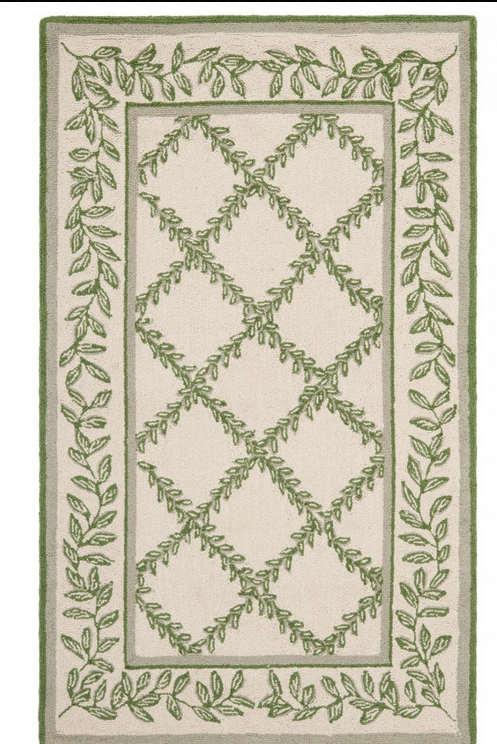 The trellis rug is fabulous! I love the decor market website and will definitely be using this for my preferred rug shopping location. Love the sisal rug. Traditional yet not formal & can go in any space. Also what a deal the prices are. 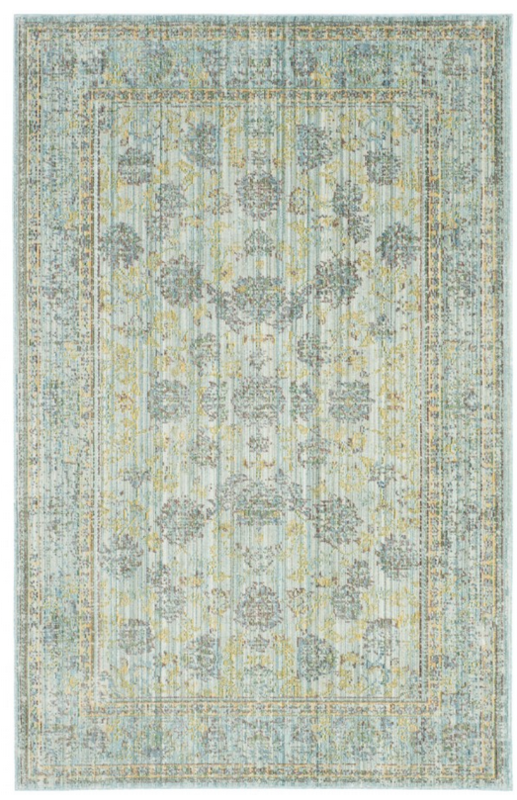 Love the Windsor blue distressed rug, choice 2! I’m a great fan of non traditional. I love #2 … could be used for a number of color schemes! Thank you for sharing the give away. I like choice one and two, i think the faded look is so romantic! Totally love the #1 rug. Oh no 5 and 7 are my favorites, as I love those colors! #5 is just gorgeous and so reasonably priced! Number 10 in blue. I have this exact same rug in green and it’s held up beautifully for my son’s room for 6 years! I just had it steamed cleaned and it looks brand new. Needless to say, the kids don’t eat or drink in their room, though. So many beautiful choices but my favorite is #5. The colors are gorgeous and it’s just the right rug we need for our small office. 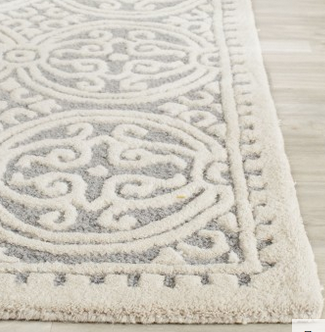 I love these rugs and the prices are actually BETTER than Homegoods! #10 would look beautiful in my back hall! Love a good deal on rugs! I love number 6! Thanks for the chance! Love the classic trellis rug. I love the navy Oriental rug. Would be beautiful in a dining room! Number 5 definitely my favorite. It feels happy. 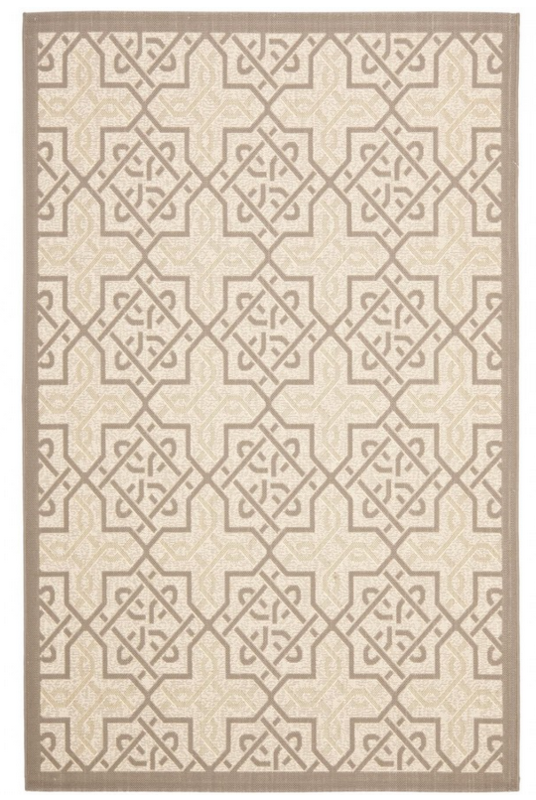 I’m in the market for an outdoor rug and I like the Safavieh Indoor/Outdoor Veranda Rugs – VER003-0212.